In some cases, a physician’s attire is functional. 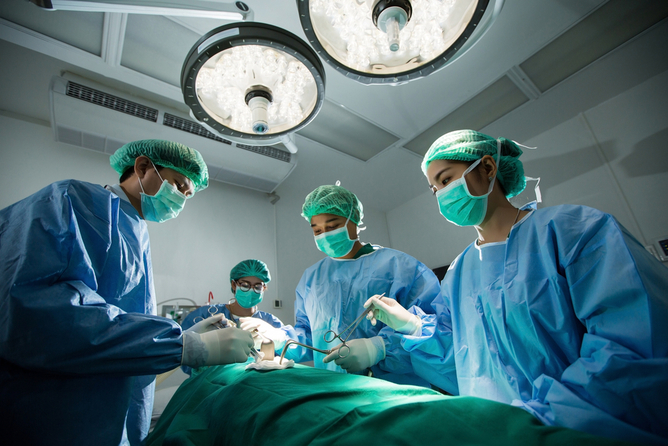 A surgeon’s scrubs protect regular clothes from stains and patients from infection. Sometimes, it’s about creating a good first impression and projecting the more professional, conservative image often associated with medicine. Go to a doctor’s office, for instance, and you’re more likely to find physicians donning a shirt and tie, or jacket and blouse when interacting with their patients. 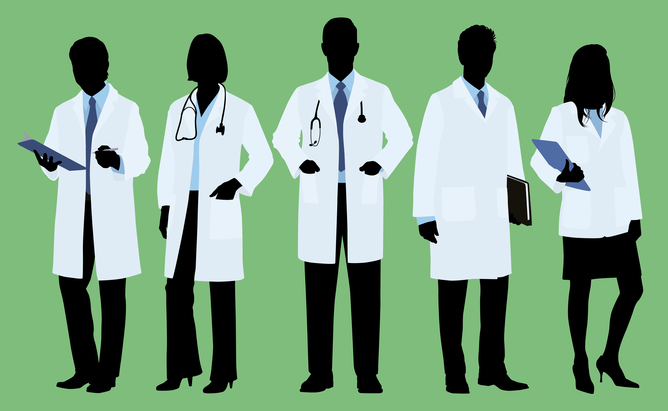 In almost all of these cases, the emblematic uniform of physicians – the white coat – is present. This month, about 20,000 newly minted physicians will enter residency programs across America, to begin their professional journeys. Each will care for and influence the lives of countless patients. And each has been trained to avoid “anchoring bias,” or to not to take the first thing they learn about a patient as the most important, lest they reach a biased conclusion or incorrect diagnosis. Yet few doctors or medical students consider the first impression they make on patients. And clothes have a lot to do with that. In an informal survey in our hospital, only two out of 30 medical students said that they actually thought about their dress when caring for hospitalized patients. Yet, over half of the medical students we spoke to agreed that what they wear is likely to influence patient opinions about their doctors. This illustrates a larger discrepancy between what doctors ought to wear and what they do wear – one that may arise from competing concerns or lack of guidance. Just like the treatment doctors provide, that guidance should be grounded in evidence. For instance, a special report from infection-prevention experts found little evidence that germs on male doctors’ neckties, long sleeves, or white coats actually spread infections in a nonsurgical setting. So bans on such garments, such as those in place in some countries, may go too far. We recently published a study reviewing all available evidence regarding patient preferences for physician attire. 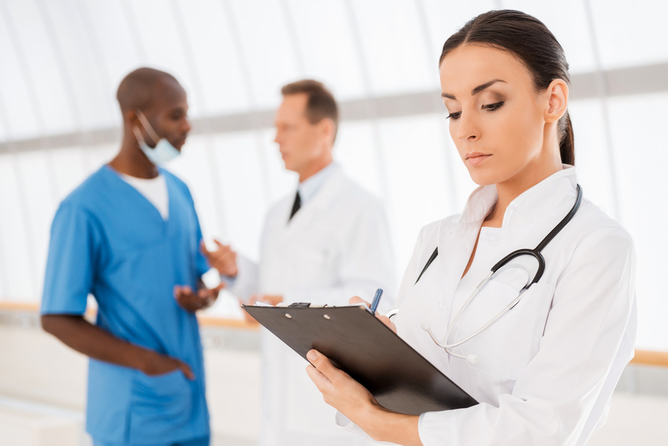 We examined more than 30 studies that evaluated how patients viewed physicians’ attire. Second, in emergency, surgical or intensive care settings, scrubs were not only preferred by patients, but also more often equated with professionalism. This makes sense, as in these more “hands-on,” procedure-oriented settings, formal suits, shirts and ties clearly seem out of place. Finally, in doctors’ offices and outpatient clinics, scrubs were viewed unfavorably and often resulted in negative impressions. Thus, from the patient’s perspective, a “one size fits all” approach may not work for doctor attire. Rather, the context in which a patient interacts with their doctor influences what they expect to see. Given the tension between infection risk and patient preferences, it is not surprising that disagreement about dress code also exists among physicians. About 30% of doctors polled stated that they preferred to wear scrubs, casual attire or had no particular preference when caring for patients. However, more than 60% stated that doctors should wear white coats. And despite clear patient preferences about what doctors wear while working, even the top-ranked hospitals in the nation, only a handful offer formal guidance on attire. Many vaguely recommend that clothes be “professional,” but without defining what professional means? Keep your scrubs in the OR. A dress code for docs? How, then, should doctors dress when caring for patients? Clearly, more evidence is needed to guide members of the medical community. So we have launched a large study that aims to better understand what patients prefer when it comes to physician attire. We plan to survey thousands of patients from the US, Italy, Switzerland and Japan in settings that span outpatient clinics, doctors offices and hospitals. Because generational effects and familiarity matter, we will specifically assess how factors such as age or how often a person interacts with the health system shape patient opinions. While we collect data for this study, what best practices can we recommend in the interim, especially those 20,000 brand new residents? When in doubt, formal attire with long-sleeved shirts and ties for men, and business attire for women, should prevail in nonemergency or nonoperative settings. This practice should hold true not just for weekdays, but also when physicians are working weekends and after typical business hours. Patients and their expectations remain unchanged, regardless of hour or day. While scrubs are appropriate for operating or emergency rooms, we suggest changing into more formal attire to visit patients in the hospital or the clinic. Regardless of the occasion, flip-flops, showy jewelry or jeans simply don’t belong in the hospital, just as scrubs do not belong outside the hospital environment. Especially not in the grocery store. Vineet Chopra is Assistant Professor of Internal Medicine at University of Michigan. Sanjay Saint is Professor of Internal Medicine at University of Michigan.